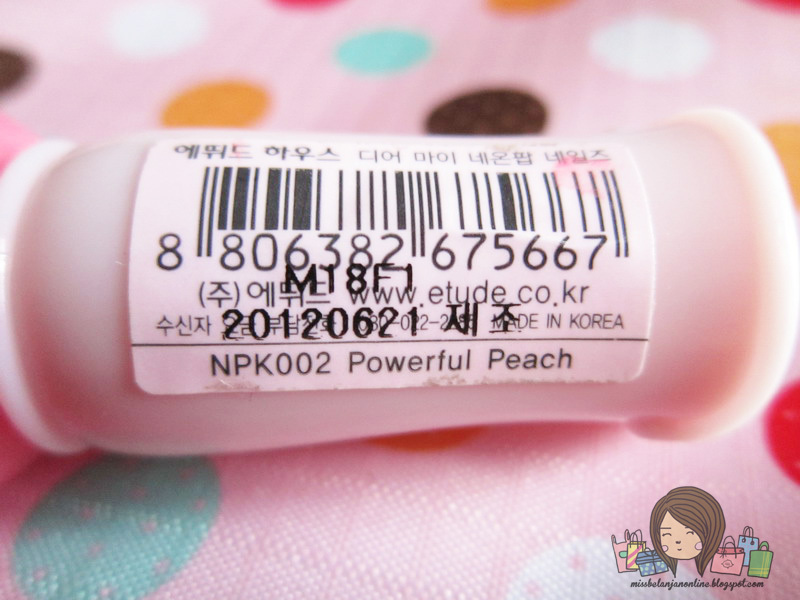 Today, I will share another Etude House Product with you. This time I will make it short, because I just want to show you my NOTD. I got this nail polish as a giveaway gift. The product's name is Etude House Dear My Neon Pop Nail - Powerful Peach. 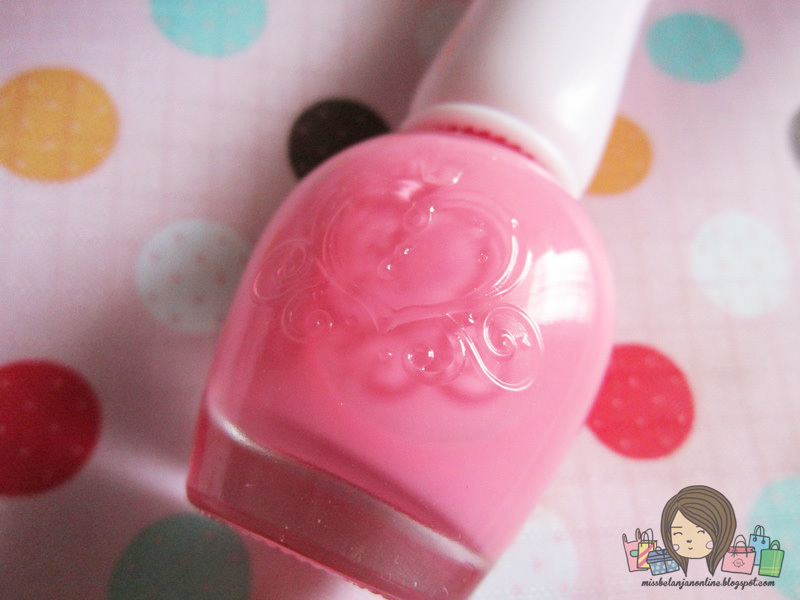 No doubt that Etude House always have a cute packaging even for a nail polish. Look at the bottle! It has a nice heart carriage embossed on the bottle. The brush is rectangular shape, which I really like better than the usual brush. The color is very bright and fit perfectly with summer time! What do you think about this color? Looks good for summer, right? However, thanks for this review.